Invest HK released the Invest Hong Kong 2016 start-up survey results during the launch of 2017 StartmeupHK Festival. 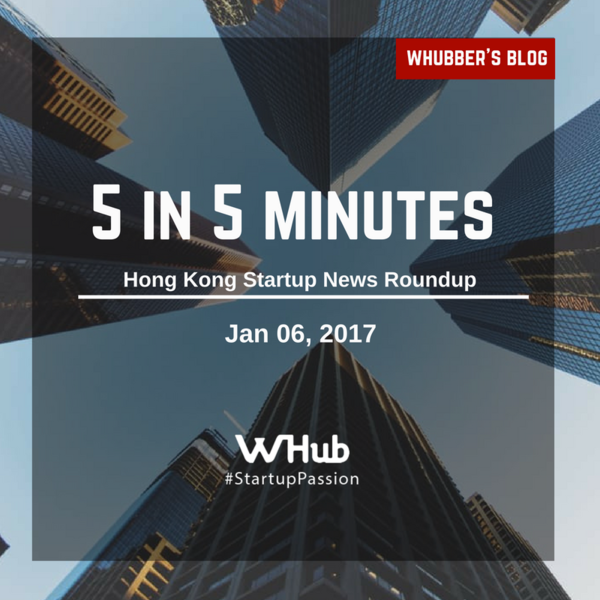 A total of 1,926 start-ups are engaged in various tech sectors and are operating at co-working spaces, incubator or accelerator locations across Hong Kong. The number of startups in Hong Kong has an 24% increase in 2016. The survey also shows at least 2,039 entrepreneurs were involved in these 1,926 start-ups, and 65% of them came from Hong Kong. Join us at the 2017 StartmeupHK Festival! Mumbai-based TempoGO has raised US $825,000 in seed funding in a round led by Hong Kong's K2 Capital. TempoGO is an IoT and SaaS solution startups for commercial transportation, the solution has been used on 1,800+ inter-city trips in India over the last 12 months. Happic.co wants to help you catch Pokemon with the Happic band. The Happic band directs users to the nearest Pokemon using a patented combination of unique haptic vibrations around the wrist coupled with text information, letting you know the rarity and the expiration time of the nearby Pokemon. The Singapore-based P2P marketplace Carousell announced that it has acquired Malaysia-based mobile classifieds startup Duriana. Duriana's users will be migrated to the Carousell platform. This is Carousell's third acquisition in less than six months. Hong Kong and Shenzhen have signed a memorandum of understanding related to the development of Lok Ma Chau Loop into an innovation and technology park. The park will be four times the size of Hong Kong Science Park, making it the city's largest innovation and technology platform. The Chinese bike-sharing app, Mobike, has raised US $215 million in Series D funding from investors including Tencent, after its launch in April 2016. Mobike is available in nine cities in China currently, and the startup sets eyes on Singapore where it intends to launch before the end of March, according to Tech in Asia.